Site Area : 3400 sq. Ft. Built Area : 5190 sq. Ft. Minimal aesthetics, a simple material palette and greenscapes were decided the main attributes of the design. 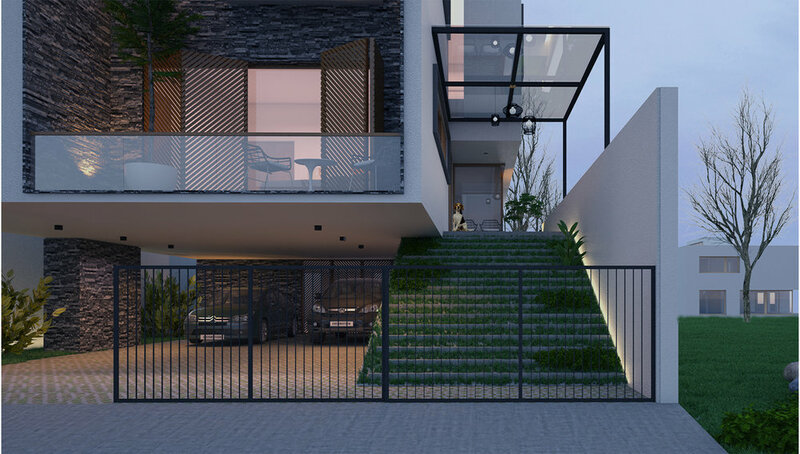 Owning to a large program against space constraint, the Bungalow is placed on an elevated stair garden with a garden portico hence replacing conventional lawn gardens. All the functions then opens in front externally and into a courtyard internally.